Lewers is an experienced, forward-thinking research company dedicated to providing our clients with the insights they need to make the right decisions for their business. At Lewers, we don’t work for you, we work with you. In the true spirit of partnership, we collaborate to work towards shared goals. we seek out and engage leading-edge technology solutions that allow us to analyse and predict results with an unprecedented level of depth and accuracy. We find the thrill of discovery addictive. PurplePatch is our own consumer consulting board of over 5,000 engaged participants and the centre of our fast response capabilities. It was created from our clients’ needs for faster quality answers and our desire to have our own hothouse environment to test new approaches. The purpose of research is not just to deliver numbers, but to provide real insight. We craft meaning from data and provide concrete solutions that address business objectives. We arm our clients with genuine, relevant and outcome-focused insights based on robust, intelligent analysis and critical thinking. At Lewers, we deliver – because we love what we do. Our ability and willingness to adapt quickly to the changing needs of our clients means that our work is always relevant and ahead of the curve. You can trust us to provide expert advice and support to create an advantage for your business. 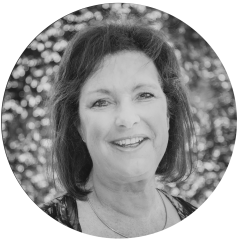 ‘Lisa and the whole Lewers team operate as an extension of our customer insights team. The quality of the work Lewers deliver to us is outstanding but the real difference we get from working with Lewers is this insight is delivered to us in a true partnership approach. Lisa and the team deliver the hard news, when it’s needed, in the spirit of respect and mutual accountability for having great work in market which supports our business aspirations. The Lewers team have developed outstanding working relationships not just with the research team but with our Marketers and agencies as well. Our senior marketing team regularly pick up the phone and call Lisa and her team to discuss how the brand is performing in market, what she is seeing in relation to a changing competitive context and to generally discuss current and potential campaigns. I have built my career based on research fundamentals that provide a concrete underpinning to my work. My natural curiosity drives me find creative, thought-leading approaches to provide greater clarity to business decision-makers. Research is evolving and it is great to be embracing change. Growing up, Lisa was heavily influenced and proud of the stories of her family – her grandfather’s cement business and a rich history of potters and painters. These stories reflect her approach to work and life – concrete and creative. This approach, along with the values of integrity, dependability, openness and supportiveness, provide the framework for Lewers Research. Since 2005, as CEO of Lewers Research, she has sought to provide a fulfilling environment that attracts critical thinkers; giving them the space and permission to provide research that matters. 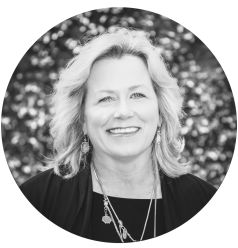 Today, with over 20 years of research experience across a variety of industries, Lisa has become a trusted advisor to her clients. She enjoys building partnerships, introducing new thinking, new technologies and new ways; helping her clients enjoy the impact of discovery. I joined Lewers research because I knew this was a company that, like me, wanted to continually challenge the way research is done. Innovation is in Lewers’ DNA. Furthermore, they are a fun, smart and incredibly respectful group of individuals and I consider myself lucky to work with them. Alberto joined the Lewers team in 2016, coming from a role as General Manager at GFK and, before that, as the Services Team Leader at Colmar Brunton. Alberto has worked for a wide variety of clients in industries such as: Energy, Insurance, Banking, Tourism, FMCG, Government, Employment, Transport and Logistics, Telecom, Apparel and Fashion, and many others. 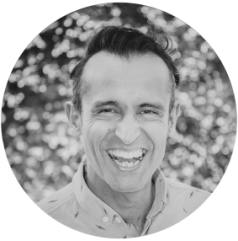 Alberto has extensive experience directing a range of important research projects, including NPS tracking, brand tracking, Brand Architecture and many others. I love Lewers and our qual/quant team because they really know their stuff, have incredibly strong client relationships built the best way – through mutual respect, over time – and because the drive is not just to answer core questions but to delve more deeply and come up with ideas and insights that stretch thinking (both our own and our clients’). Oh yeah. And, because it’s fun to come to work every day within a culture like that! Moira’s passion for people and communication challenges began early with a Post Grad course in Advertising in London. She spent 17 years in Ad agencies in London and Melbourne. 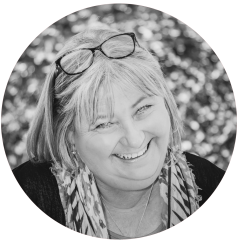 In 2001, Moira started Reality Check a specialist qual consultancy, using her skills to meet the challenges of an evolving, complex multi-media landscape. In 2017. Moira merged her business with Lewers, and is now Head of Qual and leading our qualitative team, bringing with her a wealth of knowledge of the retail and services landscapes. I love working at Lewers because it provides the scope for me to shine as an individual while also working in a team environment that is constantly searching for and defining the next level in market research. I am blessed to work with individuals who are supremely talented and experienced. Our culture of collaboration, innovation and comradery provides a platform to get the best out of each individual. Phil joined the Lewers team in early 2011 with prior leadership roles at agencies in Brisbane and Melbourne. 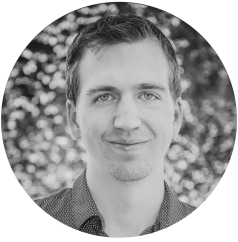 With 12 years’ experience in the research industry, Phil has been responsible for directing some of Australia’s largest research clients across industries, including telecommunications, energy, banking and FMCG. This includes extensive experience in segmentation research in telecommunications & technology, energy and banking. Along with a great culture, the diversity of Lewers’ projects calls for a wide range of new and exciting analytical techniques. This makes Lewers a great place for inquisitive and engaged analysts to grow. Plus, I get to bring my greyhound, Aggie, to work. Jennie has been with Lewers since January 2015 as Head of Analytics. With over 20 years’ experience, she has extensive expertise in all aspects of the research process. This includes account management for both Federal and State government and commercial clients, as well as managing and running analytics. Jennie’s specific areas of expertise include the design of sampling and weighting, statistical analysis and advanced analytics (modelling, segmentation). Her experience includes periods as a Project Director and Customer Analytics Manager at Roy Morgan Research managing a number of significant advanced analytics projects. Simply fill in this quick form and we will be in touch as soon as possible. wide-range of products, services, and point of view questions. PurplePatch was created from our clients’ need for faster, quality answers and our desire to have our own hothouse environment to test new approaches. PurplePatch is tended inhouse by dedicated members of the Lewers team and is the centre of our fast response capabilities.